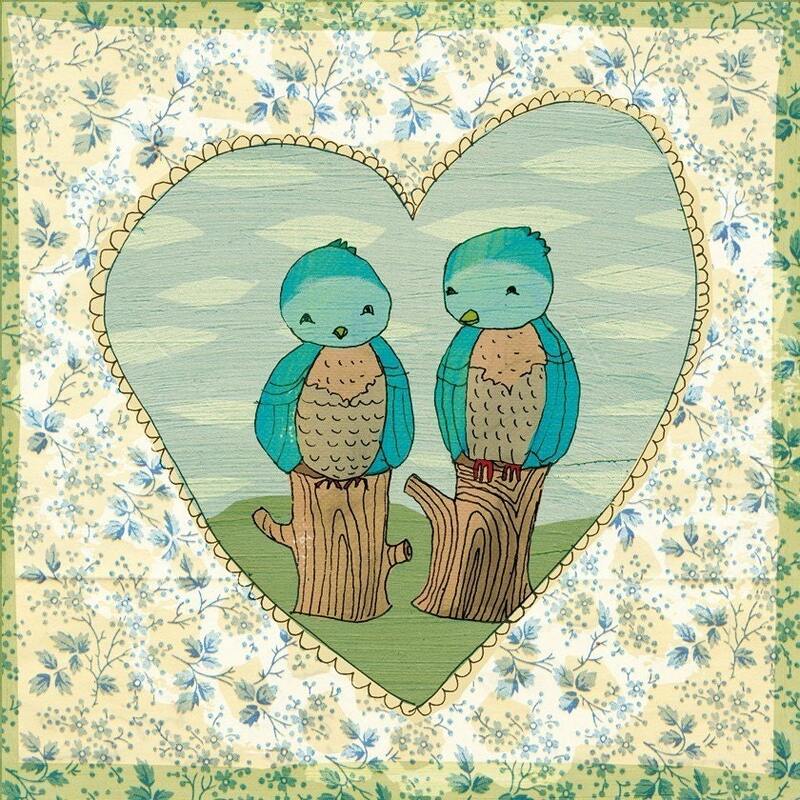 Love birds...a pretty little print either for a special valentine or just a very special person. 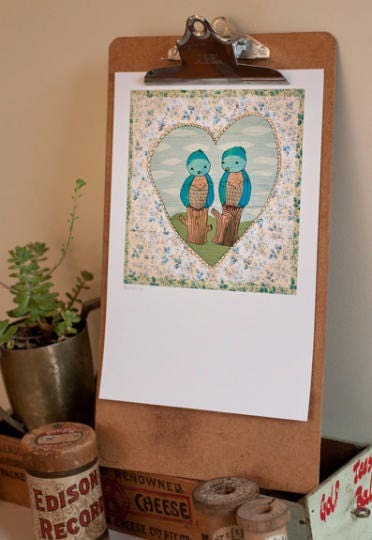 Spread a little love with this print. Each print is a high quality Epson ink jet, using archival inks, on Epson A4 matte heavyweight, bright white card, which will be signed and dated by the illustrator, Paula Mills. The actual artwork measures 5'6 x 5'6 inches (142x142mm). A white border will be left for framing. The print will be posted in a sturdy envelope with board and covered with cello to protect the print and arrive with lots of love!